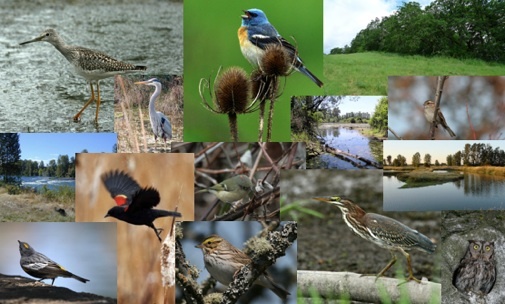 Eugene and its environs include a broad range of habitats that attract a wide range of bird species. Welcome to Birding Eugene, an on-line guide to birding sites in and around Eugene, Oregon. Nestled in the southern end of the Willamette Valley, Eugene and its citizens are committed to protecting a wide array of habitats within an extensive park and natural area system. Its Willamette River Greenway system and paths paralleling the river are among the finest in the nation. 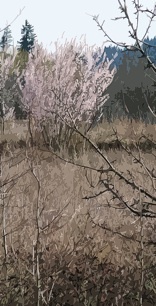 Wetlands in west Eugene are protected and host unique plant and animal species. Along the hills south of Eugene, parks and open spaces will eventually form a connected trail system along the entire length of the ridgeline of Eugene. Eugene is located where three river systems converge: the Willamette, the McKenzie, and the Long Tom (and its tributary, Amazon Creek). The Oregon Coast Range lies to the west, and the Coburg Hills lie to the east, part of the Cascade Range foothills. The floor of the Willamette Valley still harbors patches of wet prairie. The surrounding foothills contain remnant of oak-savannah plant communities and host forests of pine and fir. The variety of habitats and moderate climate combine to provide for the needs of over 300 recorded bird species. This guide will direct you to the finest places to observe many of these birds. While there is not an actual trail connecting the sites, you can visit many of the sites by automobile, bicycle, walking, or bus in sequence. If you are downtown, you can watch Osprey , Bald Eagles, gulls, and swallows along the the Willamette River. A walk up Skinner Butte will take you where you can observe forest birds and be awed by migrating songbirds during spring's peak. To the west of town, Fern Ridge and environs host a wide range of waterfowl and shorebirds. Whether you are an expert or a novice birder, a Eugenean or a visitor, take the time to visit one or more of these sites to observe local birdlife. The birding is good any time of year, even without birding equipment. Enjoying birds and the outdoors, you will connect with nature and come to see that it is a wonderful world. At the top of each page is a list of birding sites in the Eugene area. To visit a site, just click on the name given in the list. Each page introduces a birding site of interest, describing key features of the area, and indicates the birds that are likely to be seen there. Each page includes several pictures of birds common to the site. By clicking on the name of a bird, one is taken to the page for that species maintained by the Cornell Lab of Ornithology; that page will provide background information about the bird, including a recording of its song.